Leading timeshare company CLC World has made ‘Dreams Come True’ for a selection of children with serious medical conditions and their families. The company hosted 13 children and their families, along with two volunteers from the Dreams Come True charity and two volunteer nurses at CLC World Resorts & Hotels’ Regal Oaks resort, in Kissimmee, Orlando. The accommodation was provided through the CLC World’s Charity Holidays programme, which is designed to make a lasting difference to those who need it most. It partnered with UK-based Dreams Come True, which grants children and young people living with serious medical conditions the chance to realise their dreams, whether through vital technology, meeting their hero or going on a precious trip that enriches their life. 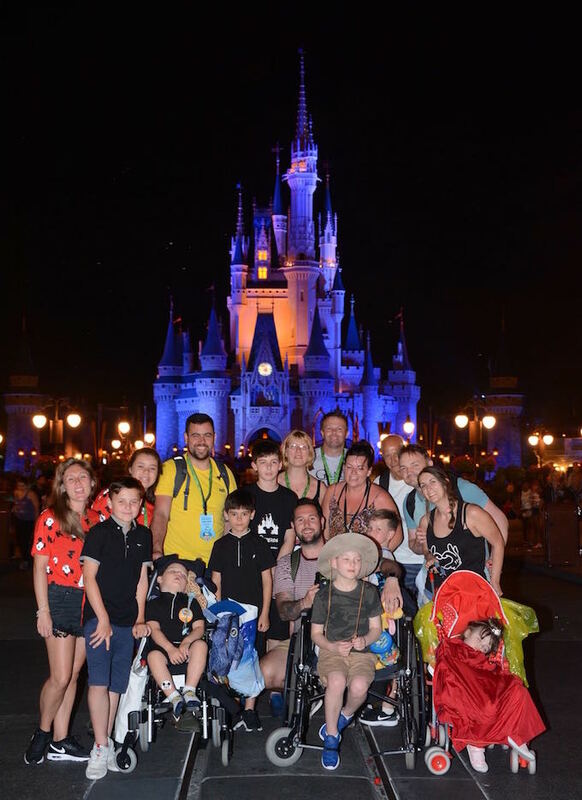 The families had a full itinerary in Orlando, with trips to many of its fabulous theme parks – SeaWorld, Wizarding World of Harry Potter, Disney’s Magic Kingdom – plus an exclusive BBQ event with broadcaster and journalist, Jennie Bond. The children and their families got the chance to meet Mickey and Minnie Mouse, Tinker Bell, Ariel and lots of other characters as part of their theme park experience, as well as the opportunity to relax and enjoy time together. “The resort provided a home from home for our families, as well as a tranquil environment for them to enjoy relaxation time after spending their days at the theme parks. Dreams Come True celebrates its 30th anniversary this year, something that CLC World is recognising by donating a further 30 weeks’ accommodation to the charity in 2018.